The deterioration of bleachability index, or DOBI, is an analytical procedure intended for quality control of crude palm oil. 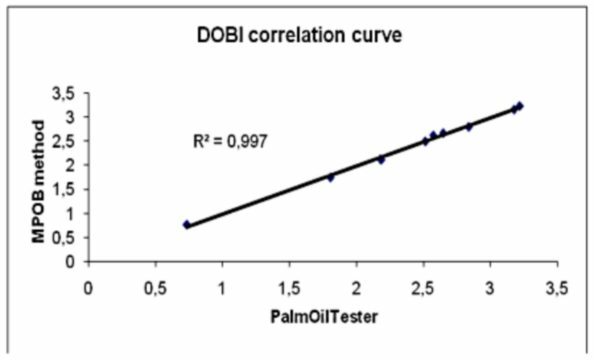 The test attempts to predict the ease of refining of crude palm oil and indicates its oxidative status. Fruit quality is one of the most important factors affecting DOBI values, together with ripeness and storage conditions.